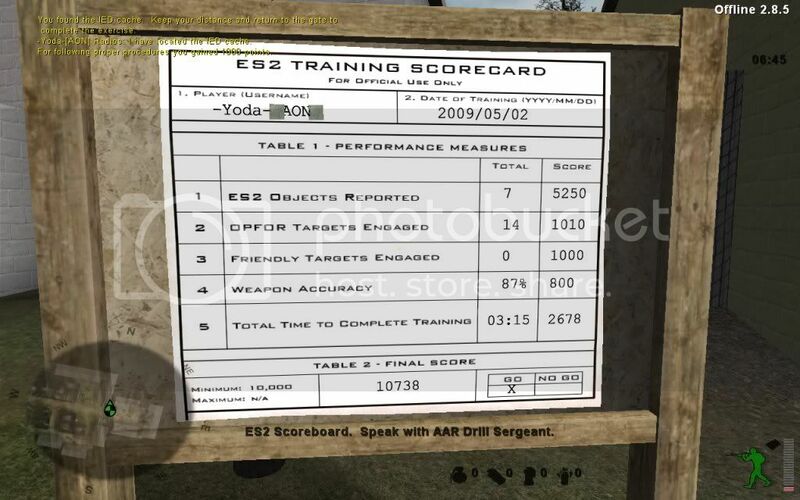 "You score zero individual points for identification because you have not taken the ES2 training." I have this message any times i complete an objective on all non ES2 co-op maps of the game. The screenshot below is from snakeplain. Ok, I did it and i don't have this message anymore. But that was weird to have this message on a map without ES2. Thanks. you need to get 10,000 points and then save the results. Yoda is this is you it shows that you have not done the trainign..
hey yoda yes it has been a long time, i guess you heard about what happened and why i wasn't playing AA. Side note seems a few people i know seem to forget to look at the scoreboard and then press their USE key, and some have do so and still not get the score recorded. In that case i tell them to post here or email a AASM. anyoen know why the scores are not being saved for some? don't want to seem like I'm being a smart@s$ but are you running the current version 2.8.5?